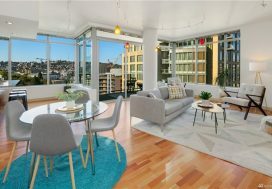 We helped these buyers purchase their home in Wedgwood last year and they decided it would be a good idea for his dad to retire to Seattle so he could be close to them and his granddaughter and they wanted to purchase a condo together for him to live in when he moves here. 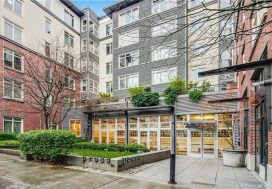 Knowing the condo would need to be a rental for the time being we knew the building having no rental cap and limited rental restrictions would be an important criteria. 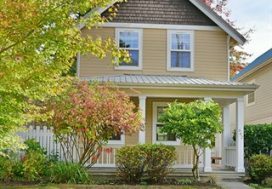 Everyone also wanted the condo to be in somewhat close proximity to the house in Wedgwood and also be in a nice walkable neighborhood. Keeping the cost under $300,000 for a 2 bedroom would be a challenge but we knew it could be done with patience and perseverance. 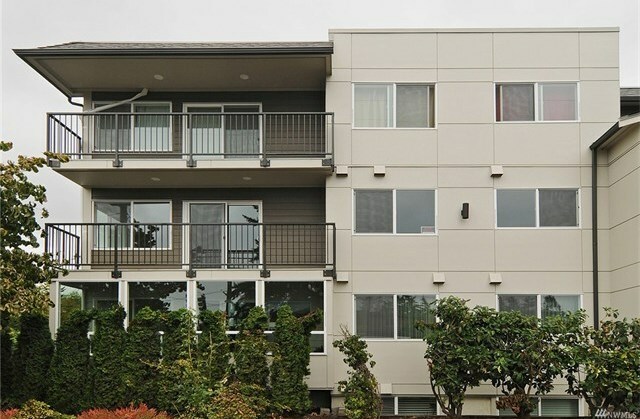 We looked at many condos from Sand Point to Greenwood to Pinehurst but when a nicely remodeled top floor condo came on the market in Greenwood in a building that had just gone through an exterior remodel and didn’t have a rental cap we knew it was it. We put in our offer against another and we prevailed! Good luck on renting the condo Sergey and Tamar! And looking forward to Oscar moving in to enjoy it sometime in the future!